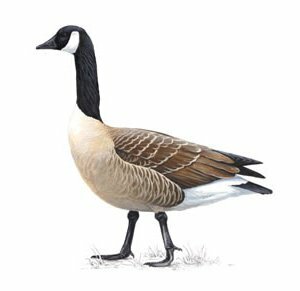 This is Luis Victor Gomez, a Mexican Canada goose. His nickname is “El Defecadora”. By winter he lives in San Luis Potosí, Mexico at the Golden Crown Paridise Resort where he passes time by crapping on the green on number 17, par 3. Luis spends his summers in Mint Hill, NC at Pine Lake Country Club where he passes time by crapping on the green of number 16, par 3. 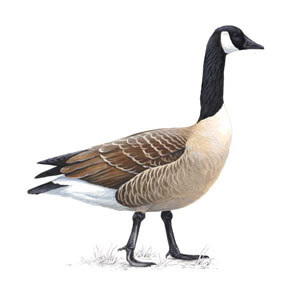 This is Louis Pierre Elliott, a Canadian Canada goose. His nickname is “Le Defecator”. By summer he spends his time at Club de Golf de l'Ile de Montréal where he passes time crapping on the green at number 14, par 3. Louis spends his winters in Mint Hill, NC at Pine Lake Country Club where he passes time by crapping on the green of number 16, par 3. You can see why there is some confusion to the members at Pine Lake, and why they are easily mistaken for each other. Ah, the Mexicans and the French...such a turbulent past. Them gooses, they sure can poop! I'm pretty sure these guys have relatives in these parts who spend their time defecating on the walking/biking/running paths of the neighborhood. Really, can't they just poop somewhere where people don't need to walk??? But do they make good eating? Should Be 60 Degrees Today!